Do you love coffee and doughnuts? We do too! But in this tutorial, we are loving them even more! 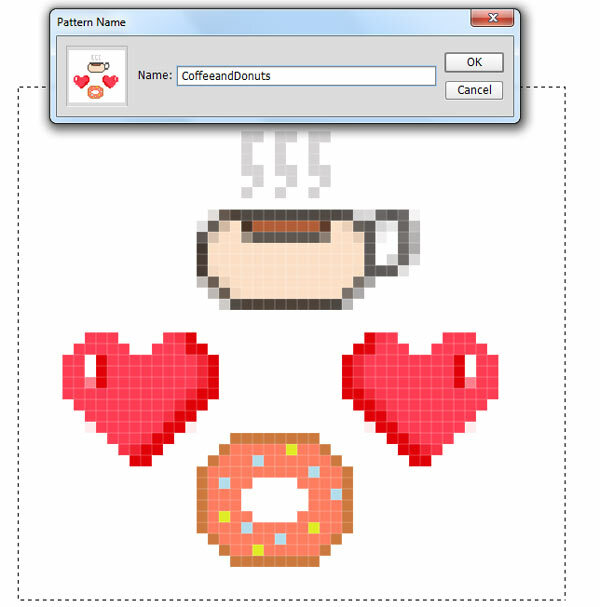 Today, you will learn how to create a cute pixel art pattern in Adobe Photoshop. It’s fast and easy, perfect for beginner’s or a refresher for the pros. Try it out! 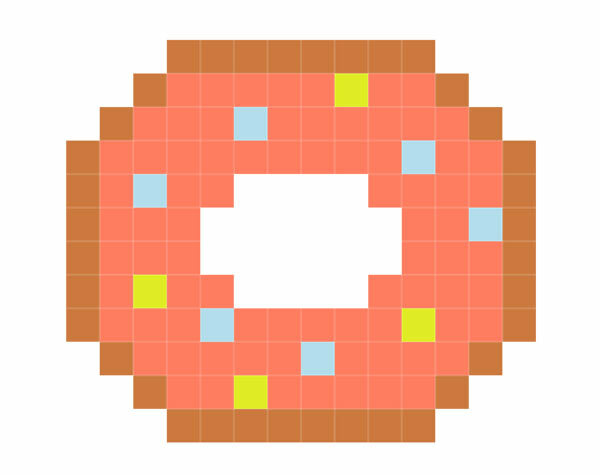 Use a 200×200 pixel document for your pixel food art with a transparent background. Zoom into the document at 1200% to see the pixels easier. 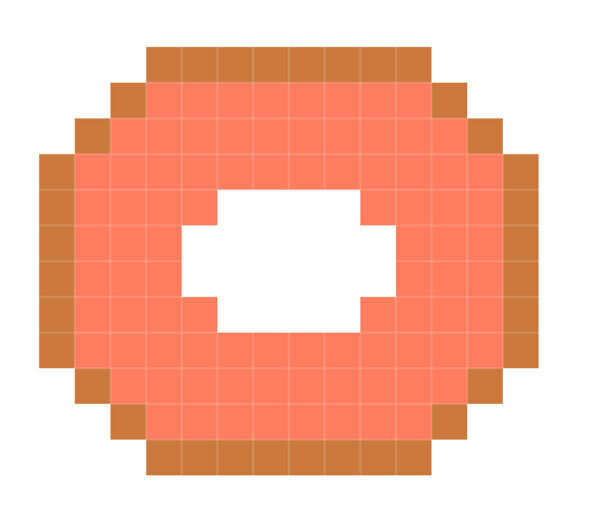 Then select the Pencil Tool (B) with the size at 1 pixel to begin drawing the outline of your doughnut. When the outline is finished, fill in the doughnut with the color for the icing and leave the center empty on a new layer. Then add a couple of quick squares for sprinkles. Feel free to change these colors if you like. Once the doughnut is finished, merge the layers together. 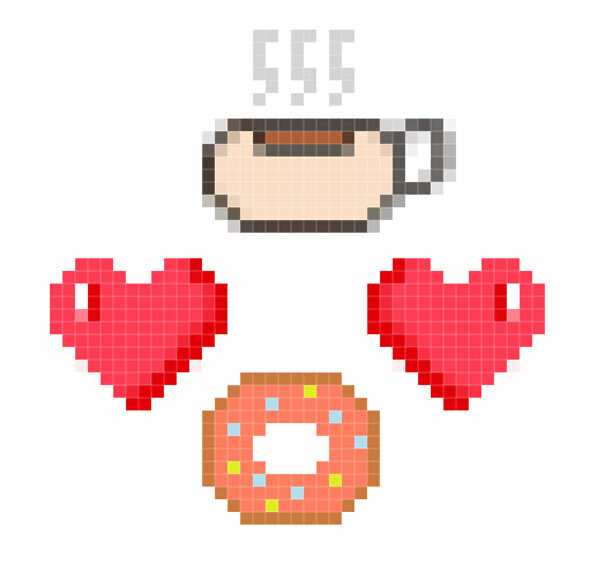 What would a doughnut be without a nice cup of coffee? 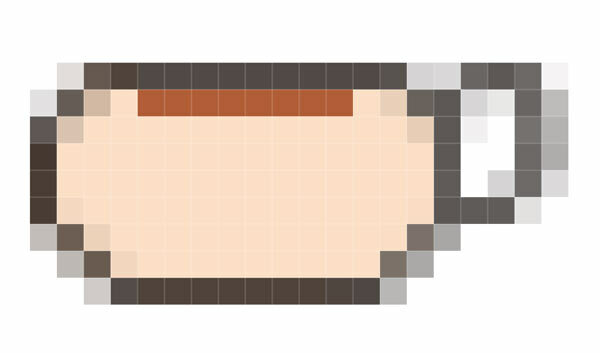 Hide the visibility of the doughnut layer and create a New Layer for the coffee outline. 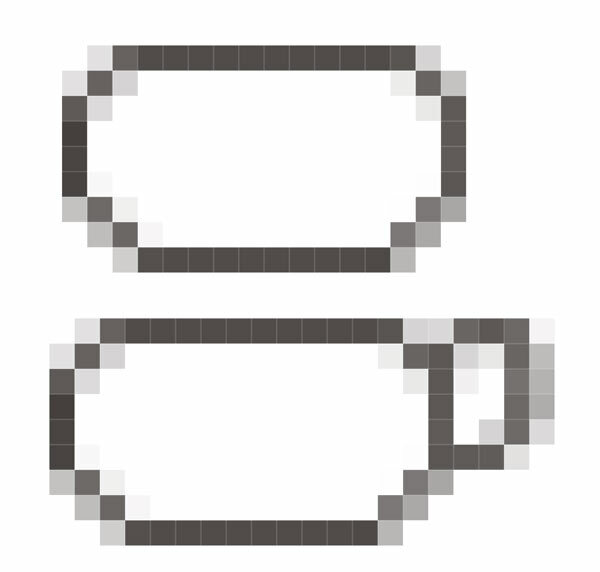 Use dark gray and light gray values to create the outline of the cup, and then add the handle. Fill in the coffee with a pale peach color #fcdfc6 and add a streak of color for the actual coffee with a deep brown color #b25d37. 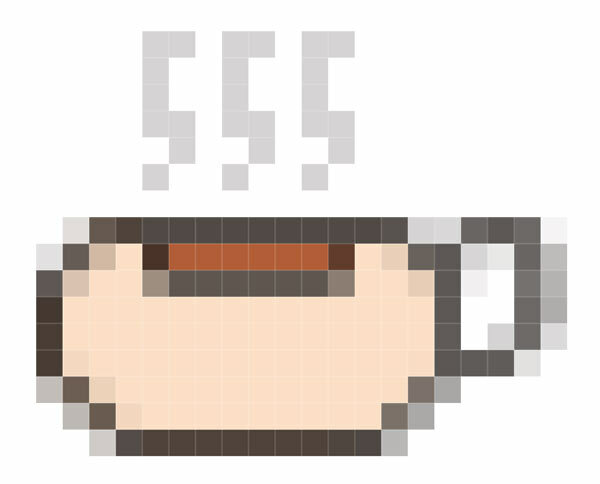 Finish off the coffee cup by outlining it then add some gray squiggly steam at the top. 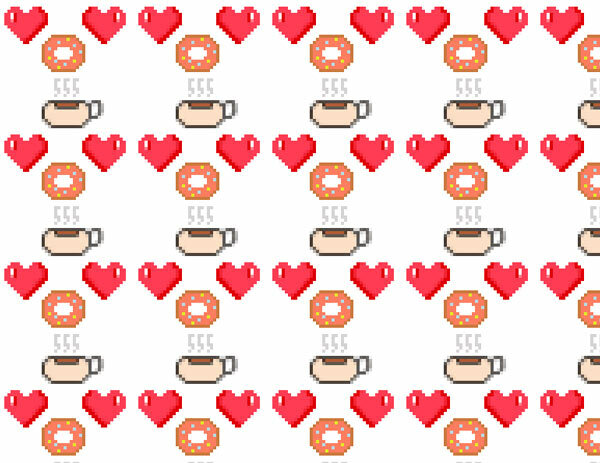 To show you love coffee and doughnuts, add a cute heart! First create one side of the heart. 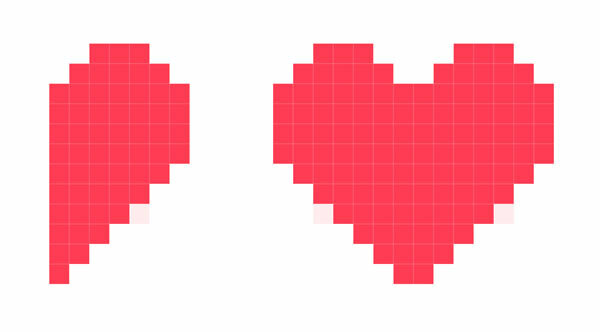 Then hit Control-J to duplicate the heart half and flip it by going to Edit > Transform > Flip Horizontal. Add some shadow to the heart, then a bright white highlight. When you’re finished, merge the heart layers together. Arrange your cute food art into the order that you’d like. 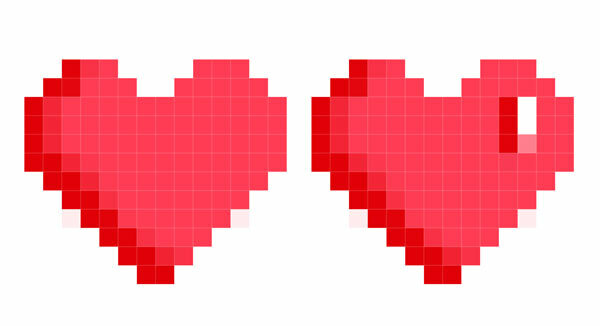 For more balance, duplicate the heart and flip the copy by going to Edit > Transform > Flip Horizontal. Now merge all the food art layers together, making sure you still have a transparent background. 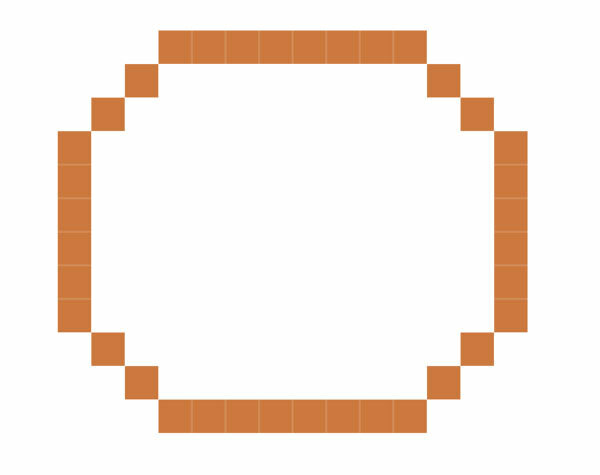 Select the Rectangular Marquee Tool (M) and create a square selection around the food. Go to Edit > Define Pattern and type a name for your new pattern. Test out your pattern on the background layer by right-clicking it and going to Blending Options. Select Pattern Overlay and select the one you just created. And that’s it! Creating patterns and pixel art is just that easy with Photoshop! I hope you’ve enjoyed creating this fun tutorial, feel free to share with us your patterns in the comments. Download Free Visual Content – Stock Photos & More!